Let’s talk about acne. We know, we know. We wish we didn’t have to talk about it, either. We’d rather it just be gone so we’d never have to deal with it again. But that’s why we’re here! It would be great if we could all have weekly visits with an esthetician and consistent appointments with top dermatologists, but we have to be realistic. Even in our adult years, acne refuses take a hike and go bother someone else, so we’re always looking for the best at-home treatments to help us feel confident with a clear complexion. Well, it may be time to stop looking. Yes, really! 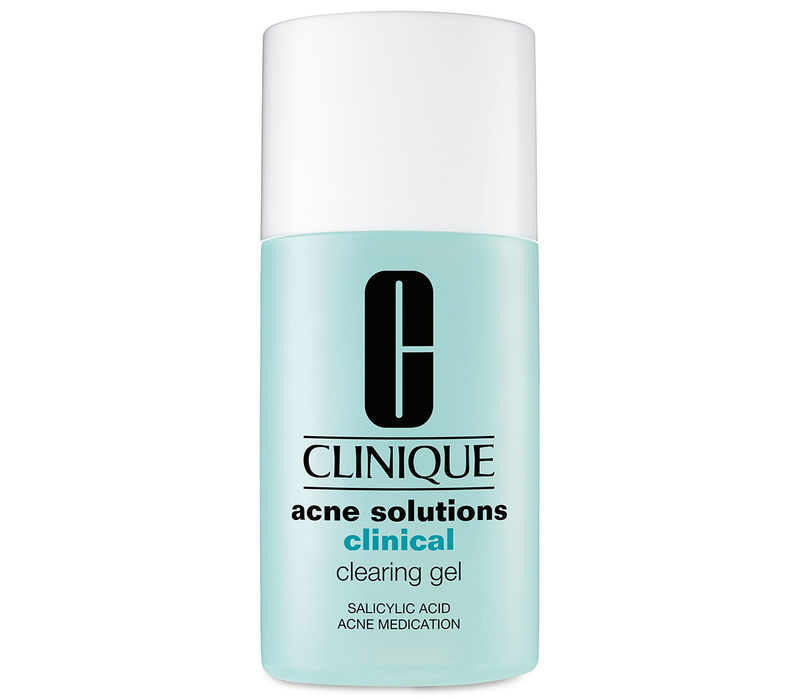 See it: Get the Clinique Acne Solutions Clinical Clearing Gel for just $27 at Macy’s! Also available at Nordstrom! So, we know Barrymore relies on this gel for all of her blemish burdens, but what about other shoppers? Over 500 collectively agree that this gel is changing the skincare game. One said they “can’t imagine going without it,” while another said they “literally saw results after the first application,” noting that it didn’t even dry them out or leave them flaky as other acne products often do. One person even said they “haven’t had a breakout” since they started using this gel! Shoppers with dry skin and oily skin alike are loving their results. One said that before one week had even passed, “half of the blackheads” sitting stubbornly on their face had vanished! Barrymore knows her stuff when it comes to beauty, so we’re not surprised the Flower Beauty founder picked a winner, here. 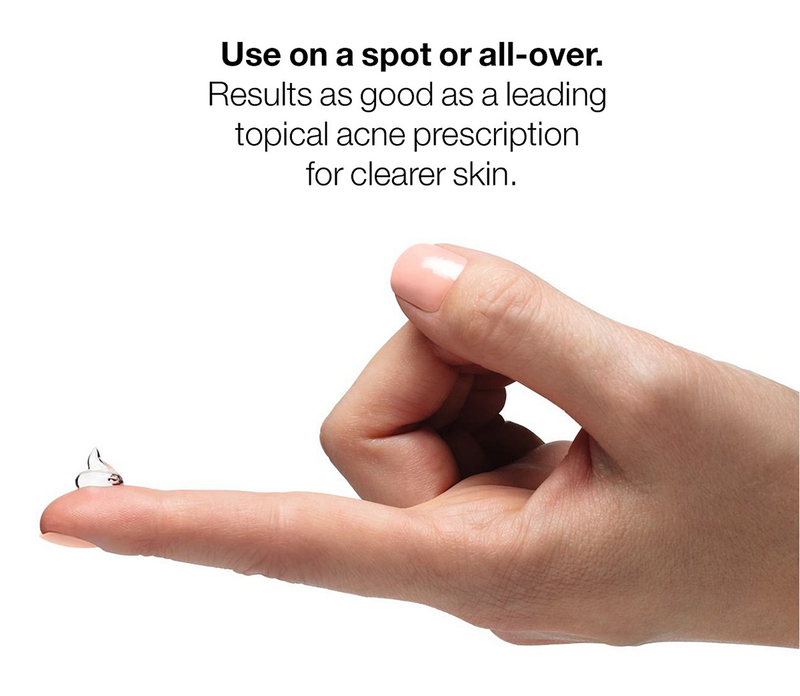 Clinique claims that this over-the-counter gel actually delivers results just as effective as a leading topical prescription in acne clearing! The key ingredient in this Clinique gel is salicylic acid, an acne-fighting powerhouse. This ingredient is extremely popular in anti-blemish treatments and cleansers because of its potential ability to penetrate the skin and rid us of our clogged pores, therefore clearing skin of unwelcome whiteheads and blackheads! This gel claims to not only “start clearing blemishes upon application,” but also work to prevent new breakouts, too! We don’t just have to sit around and wait for a pimple pop up. Why do that when we can prevent it from ever making an appearance in the first place? Other skin concerns this treatment gel focuses on are oiliness, redness and visible pores. Oiliness, and yes, even dryness, can contribute to the spread of acne on our face. So unfair. Targeting these issues at the source may help prevent pimples, though! Even if we do have an “arriving friend” on our face, as Barrymore put it, we can use this gel to target the redness, not having to rely on concealer, which eventually wipes off, alone. Still worried about this product being too harsh? Let us clear a few things up (just like this gel!). It’s allergy-tested, non-acnegenic, oil-free and paraben-free. It’s fragrance-free too! We hate when brands add in all of these extra ingredients that ultimately irritate our skin and our nose, so we can rest easy knowing that won’t be a problem with this gel. We can use this gel one or two times a day, and either as a spot treatment or all-over treatment. Either dot it on any individual blemishes with a fingertip, or apply a thin layer all over the face. Make sure to moisturize! Clinique also has other products in its acne solutions line it recommends using, including the cleansing foam and clarifying lotion. It also sees its Sonic Cleansing Brush as a “perfect partner” for its anti-acne products! With this gel, we’re looking to “make visibly clearer skin a way of life.” That way, we can actually live our lives! No more worrying about if we’re going to wake up with a new blemish every single morning, no more worrying about everyone staring at us and no more thinking we’re not beautiful. We won’t have any of that! Only confidence and glowing skin from here on out, okay? Looking for something else? Check out more Clinique products available at Macy’s here!